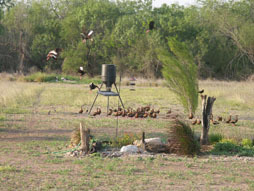 Eric and Anna Redeker purchased the V3C as raw acreage (76 acres) in August 2008. The majority of the land had been under cultivation up until the late 90's. 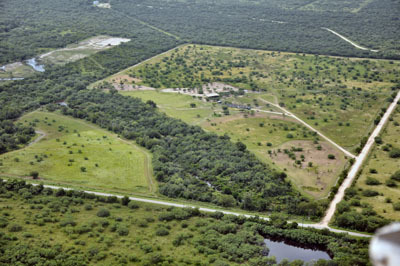 The vegetation with the exception of the Trinidad Creek drainage was highly disturbed and did not resemble the potential natural plant communities that typify the ecological sites of the region. Additionally, feral hogs had damaged more than 30% of the property making it almost impossible to walk or drive across the pastures. Adding insult to injury, the former land owner along with many other people in the area (including a local publishing company) took the liberty to dump massive amounts of garbage, tires and scrap metal around the propety as well as off the bridge located on the county road. 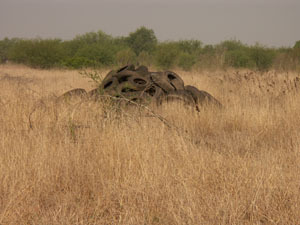 More than 200 tires were removed from the drainage alone! From the date of purchase through the present time, we have been actively working to improve the land. The entire property has been fenced with mesh wire, a water well was drilled, electricity was brought onto the property, a barn was built and garbage has been entirely removed. An ongoing project has been prescribed burning, mechanical repair of hog damaged pastures and restoration of native grasses. 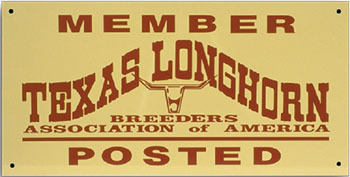 On March 13, we acquired our initial herd of TLBAA registered miniature Texas Longhorns. 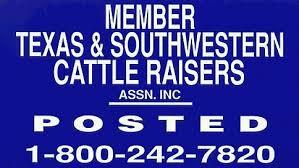 We purchased four yearling heifers from Indian Mountain Ranch and a month-old bull calf from Silver Star Ranch. On May 22, we acquired three cows and two yearling bulls from an anonymous ranch in Texas.